This book presents, in a natural and beautiful way, the general relativity as a scheme for describing the gravitational field and the equations it obeys. Starting from physical motivations, curved coordinates are introduced, and then the notion of an affine connection field is added. At a later step, the metric field is added. One then sees clearly how space and time get more and more structure, until finally Einstein's field equations logically come out. 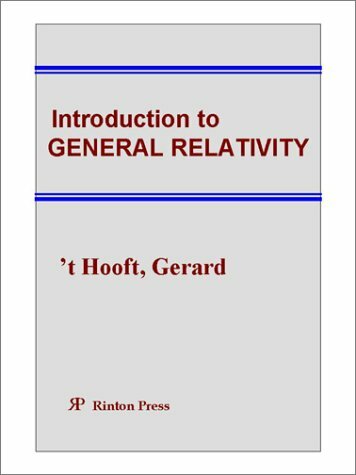 An attempt is made of giving a self-contained introduction to holomorphic ideas in general relativity, following work over the last thirty years by several authors. The main topics are complex manifolds, spinor and twistor methods, heaven spaces. Neutrosophy is a theory developed by Florentin Smarandache in 1995, which studies the nature and properties of neutralities. This book applies neutrosophic method to the General Theory of Relativity, aiming to discover new effects hidden before. General relativity is outlined as the classical field theory of gravity, emphasizing physical phenomena rather than mathematical formalism. Dynamical solutions representing traveling waves and stationary fields of black holes are discussed.